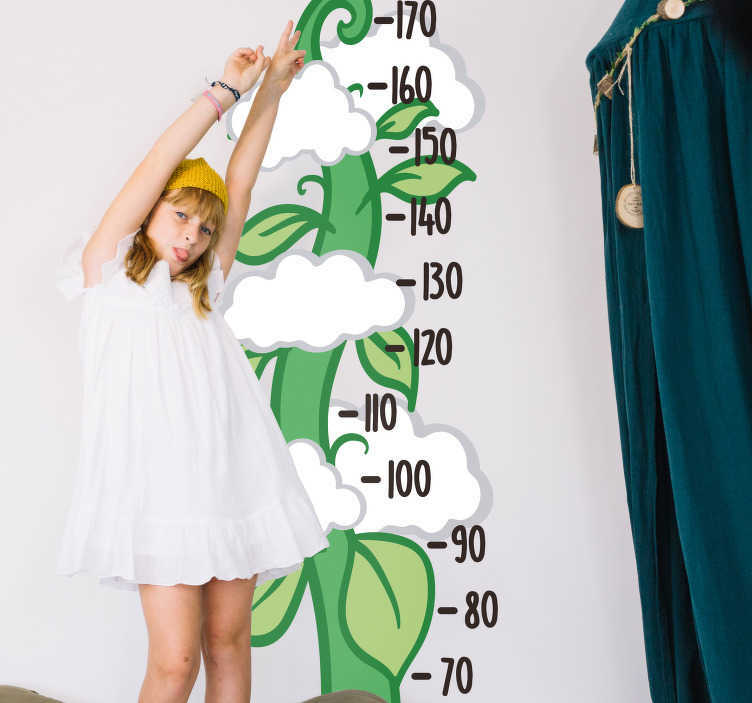 Kids beanstalk height chart wall sticker to measure how fast your children are growing, perfect for decorating a child's room! Who doesn't love the story of Jack and the Beanstalk? The giant, the magic beans, and now you can have the beanstalk itself reaching through the clouds in your own home. A fun and practical way to keep track of how fast the little ones grow, from our collection of plant wall stickers. Super easy to apply without leaving any sticky residue on the wall after removal.